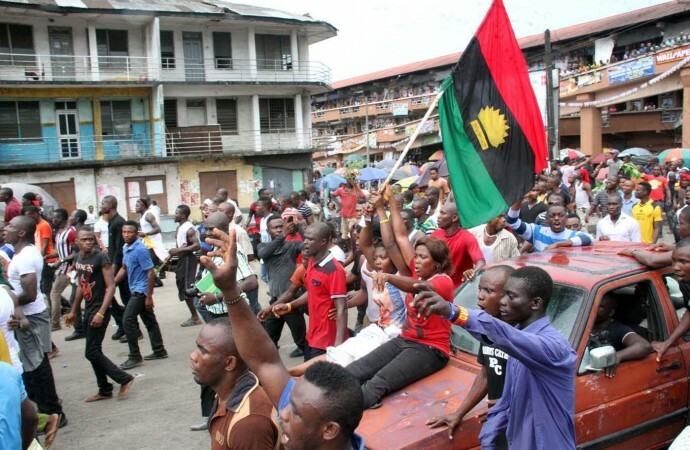 The Commissioner of Police, Federal Capital Territory, FCT, Command, Musa Kimo, has warned the Indigenous People of Biafra, IPOB, against its planned protest in Abuja. Mr. Kimo gave the warning in a statement issued by the command’s spokesperson, Usen Omorodion, in Abuja on Sunday. Mr. Kimo advised residents to go about their lawful duties without fear and molestation. In a related development, Mr. Omorodion said the command arrested a member of an armed robbery syndicate at Robochi, Abuja on April 26. He said Usman Mai-moto, 24, a principal suspect, was arrested with a stolen motorcycle by police operatives on routine patrol. The spokesperson said the suspect confessed to have participated in the snatching of several motorcycles at gunpoint. Mr. Omorodion said the suspect had given the police useful information that led to the arrest of one of his cohorts, Wisdom Peter, 18, who was arrested while trying to sell a stolen motorcycle. Mr. Omorodion said the command had also arrested three suspects who specialised in house breaking. The suspects are: Mansur Aminu, 24, Emmanuel Aboki and Dauda Isa. Items recovered from them include, two clippers, 11 SIM cards and one generating set.